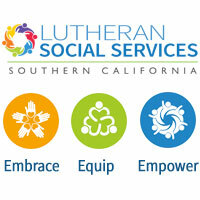 In a great effort to serve Camarillo and the Conejo Valley, our local chapter of Lutheran Social Services works to offer food, emergency assistance, shelter and other community resources in order to provide independence and dignity to our brothers and sisters who are in great need. Holy Trinity partners with LSS in both hands-on ministry programs (such as our backpack ministry) as well as offering our members the opportunity to donate to the organization directly with their discretionary funds. Do you ever feel like you’re filling your pantry up faster than you can empty it out? One great way to put those extra cans of soup, bags of rice, and boxes of dried goods toward a good cause is to bring them to one of Holy Trinity’s food donation bins. 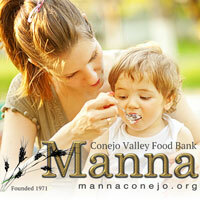 Manna, a Thousand Oaks food pantry, receives all the items that are gathered each week, and then distributes them to individuals and families. Knowing that you’ve placed dinner on another’s table is sure to make your own meal taste extra savory and filled with hope. Perhaps you participated in service projects in your younger days, and you’re itching to get out there and simply help! Or maybe you have some energetic young ones who love to be in new environments. 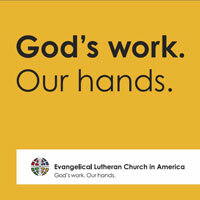 No matter what your daily life looks like, the ELCA nationwide “God’s Work Our Hands” event is a great opportunity to step into your serving shoes and help in a variety of ways. Whether we clean up a local nature reserve or pack lunches for those living on the streets, each year this day brings us together across generations and into the hearts of each other and those we serve. Habitat for Humanity has worked with a large volunteer base for several decades to build homes, believing that everyone deserves a place to hang their hat. Recently Holy Trinity offered many helping hands to build eight houses in the community of Santa Paula. We believe that in being called as God’s hands and feet, our abilities in whacking hammers or hanging drywall aren’t something trivial. We welcome those with various bouts of strength and construction knowledge to join us in this life-giving mission. 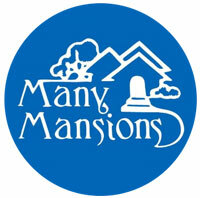 One of the many organizations that Holy Trinity supports is the Many Mansions organization, a non-profit that provides affordable housing in Ventura County. We offer our members the chance to support this group either financially or spiritually with prayers, trusting that our low-income local residents will become not just neighbors in spirit but also in reality.